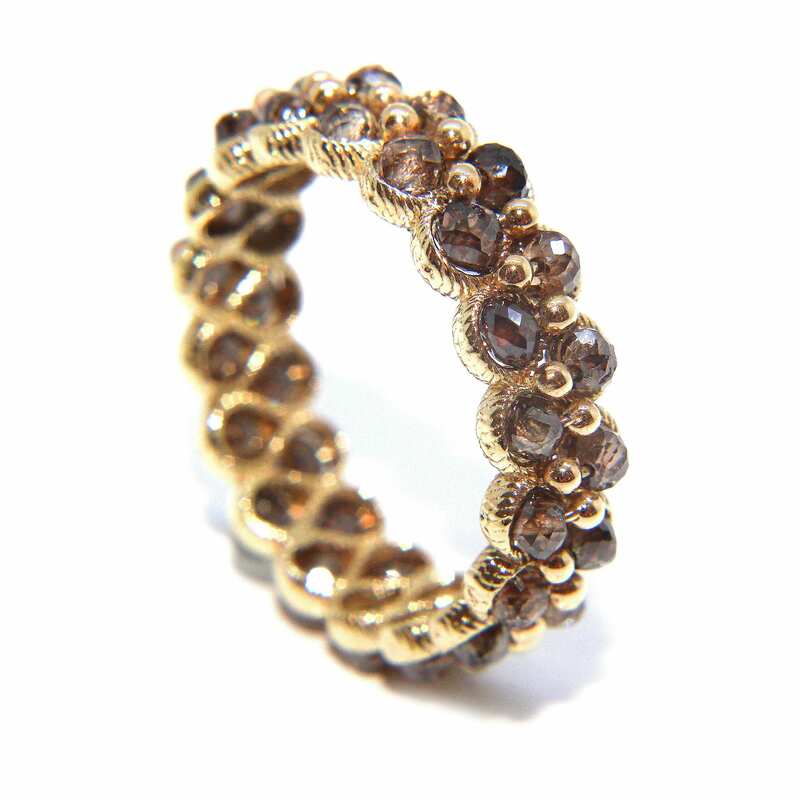 With its 30 warm toned brown diamonds nestled in a woven twisted design this wide yellow gold ring is simply exceptional. 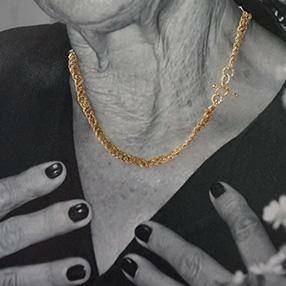 We thought you would like to know has been eyeing up our 14k Yellow Gold Brown Diamond Ring for some time now and has requested we bring it your attention. What's your question about 14k Yellow Gold Brown Diamond Ring? This beautiful 14k yellow gold wide band ring nestles 30 sparkling faceted brown diamonds in a woven gold textured band. 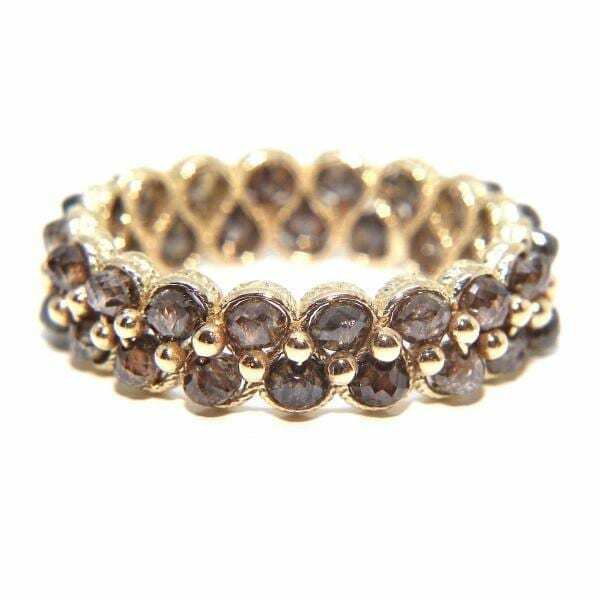 This ring looks amazing on any finger. Ring Size: O 1/2. Band Width: 5mm.